Like a magnificent mecha, Archie Comics combines the talents of super team Ryan North (THE UNBEATABLE SQUIRREL GIRL), Mark Waid (ARCHIE), Ian Flynn (SONIC THE HEDGEHOG) and Derek Charm (REGULAR SHOW) on JUGHEAD VOL. 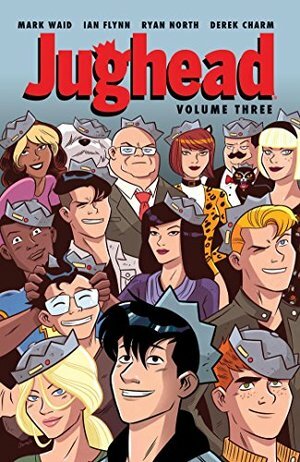 3!Everyone is after Jughead! What sort of witchcraft has befallen our crowned hero, making him Riverdale's #1 target? Jughead finds himself in a mosh pit of doom in this collection featuring Sabrina, Josie & the Pussycats, ZOMBIES and so much more!